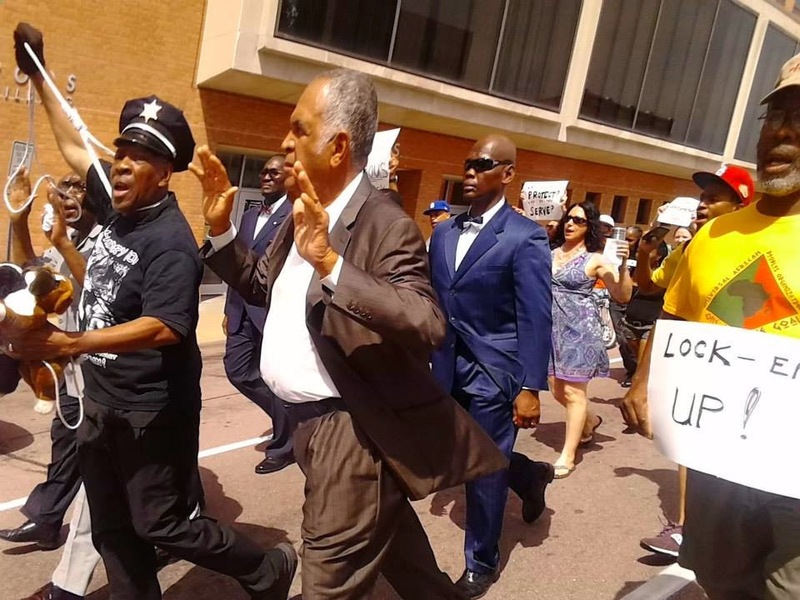 ST. LOUIS—Black leaders took their demands to the office of county prosecutor Robert P. McCulloch—including the demand that he not oversee the case related to the death of Ferguson, Mo., teenager Michael Brown. The young Black man was shot at least 6 times by Ferguson Police Dept. officer Darren Wilson. A final kill shot sealed the doom of the young man known as "Big Mike." It also ignited outrage, protests, some sporadic looting and brought attention to America’s deep seated racial divide and police targeting of young Black males. State Senator Jamilah Nasheed was initially blocked by police officers when she tried to deliver petitions that represented a "no confidence vote" to Mr. McCulloch’s office. She and other members of the recently formed Justice for Michael Brown Leadership Coalition want the county prosecutor off the volatile Brown case. She said 70,000 people, from Missouri and anyone had signed petitions call for removal of county prosecutor McCulloch. 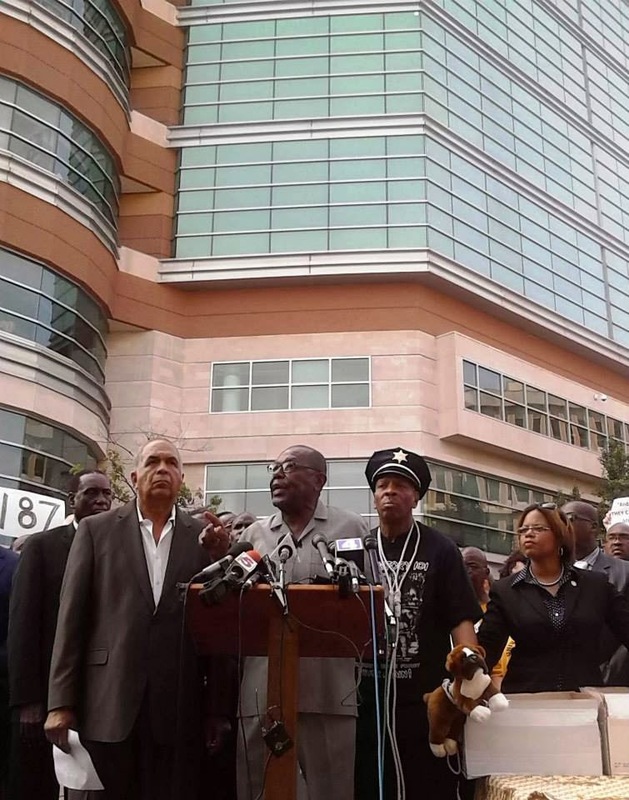 Justice for Michael Brown Leadership Coalition demands include the arrest and vigorous prosecution of Officer Wilson and his immediate firing, said Zaki Baruti, who opened the press conference Aug. 21 and announced the group in front of the county justice building. Mr. Baruti of leader of the Universal African Peoples Organization. They want Missouri Governor Jay Nixon to remove the county prosecutor, whose father was killed by a Black man and whose family has heavy ties to law enforcement—not to mention the close relationship between the prosecutor and police. Abdul Akbar Muhammad, a member of the coalition and the Nation of Islam, called for Attorney General Eric Holder and local investigative agencies to look into the “policies and practices” of Ferguson and nearby localities to end racial profile. Traffic tickets and fines are often highly lucrative moneymakers for the small hamlets. Mr. Muhammad gave the attorney general a “D-” for his visit, saying the nation’s top official only met with a small group of individuals in what was called a community meeting. Mr. Holder didn’t meet with those people who have been dealing with protests and angry youth and elders on the street, he said. The meeting was a virtual secret, Mr. Muhammad said. “We call for the Ferguson Mayor James Knowles and Police chief Thomas Jackson to immediately resign their positions of authority and if not we will call upon the people to immediately do a recall of the mayor of Ferguson,” the group added in a statement. What if nothing happens? asked a reporter. 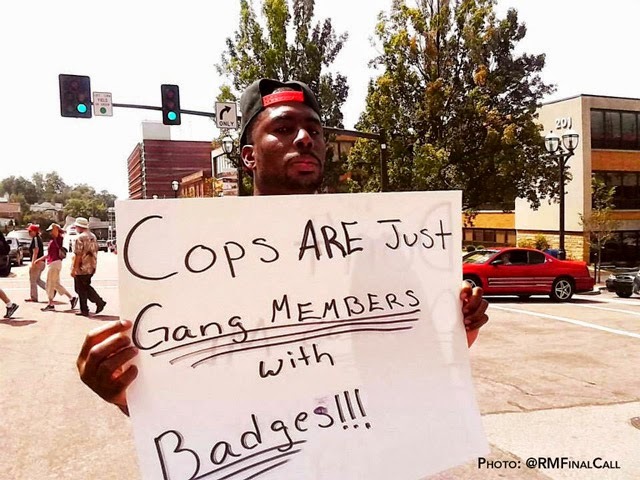 The city will be shut down by civil disobedience never before seen in the St. Louis metro area, which includes Ferguson and small nearby towns, promised Anthony Said, a street activist and director of the Tauheed Youth Group. Young people need jobs and training to solve ongoing problems, he said. With that the group left the parking lot across from the county prosecutor’s office and marched in the streets. “We’re young, we’re strong! We’re marching all night long,” they chanted.